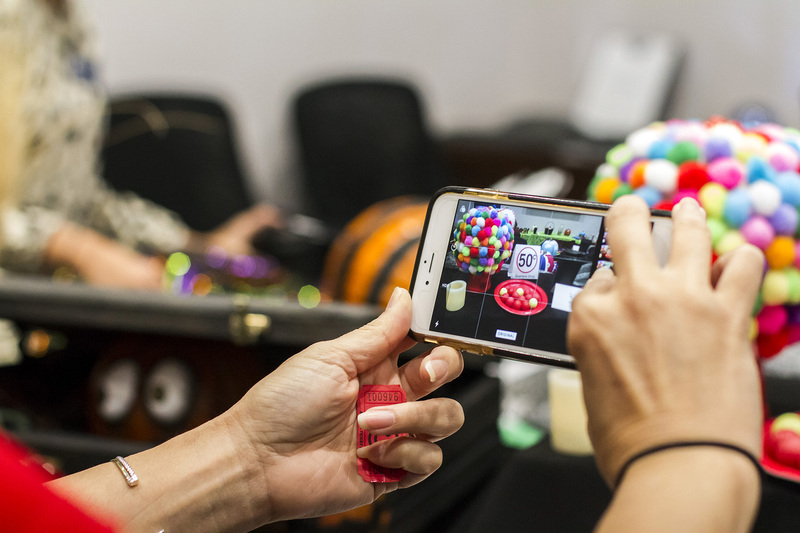 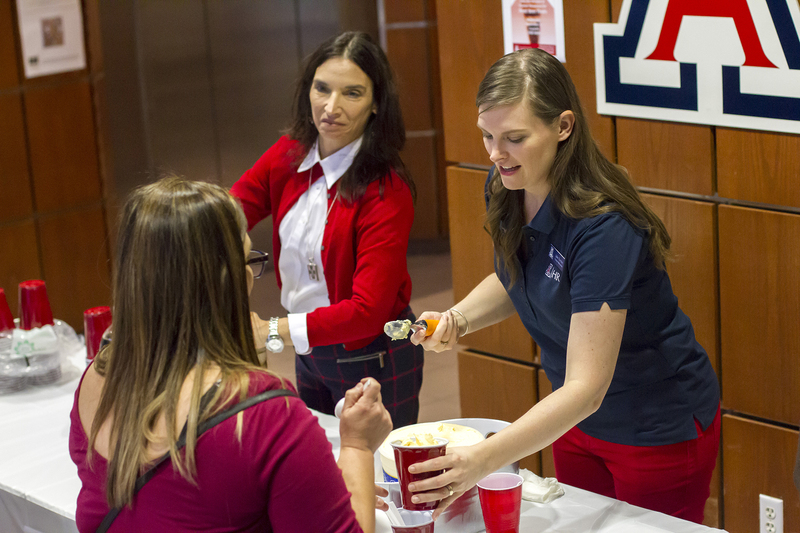 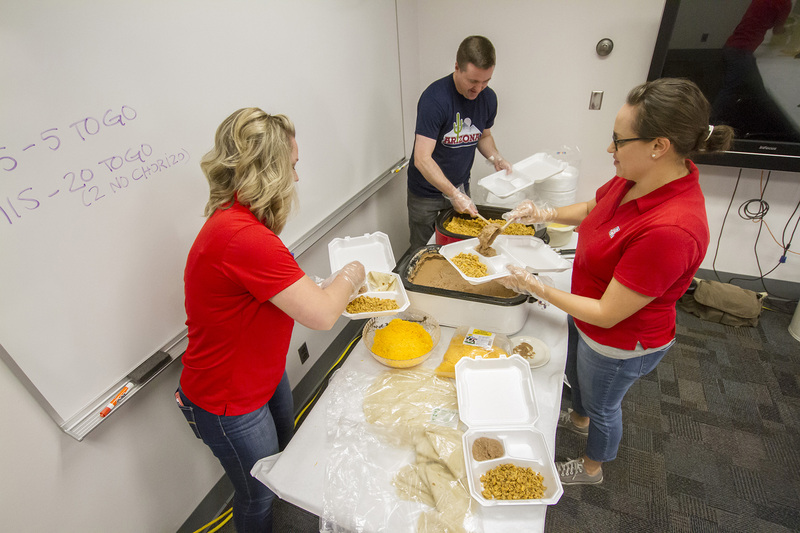 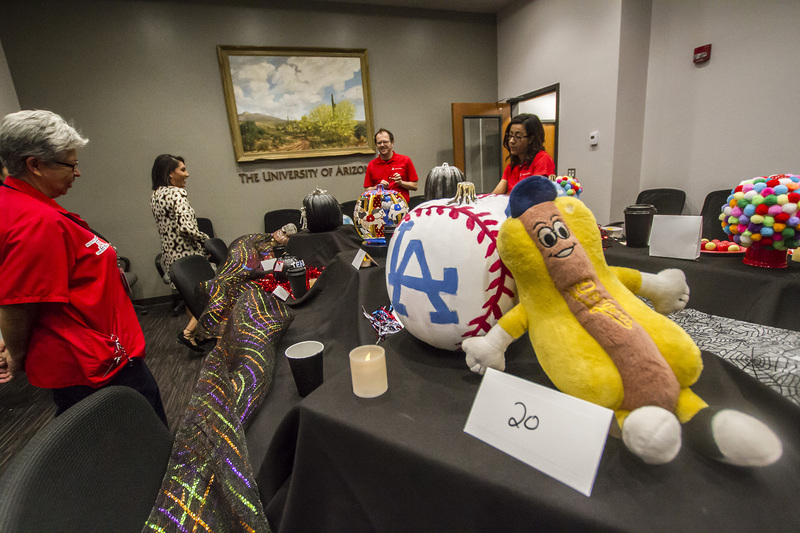 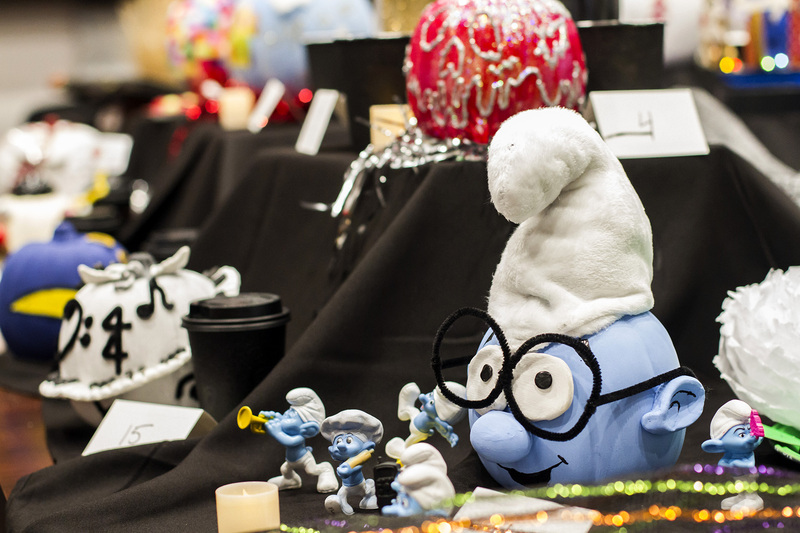 UA employees shelled out thousands of dollars for chorizo, root beer floats and the chance to decorate pumpkins during events held across campus for the UA Cares annual giving campaign. 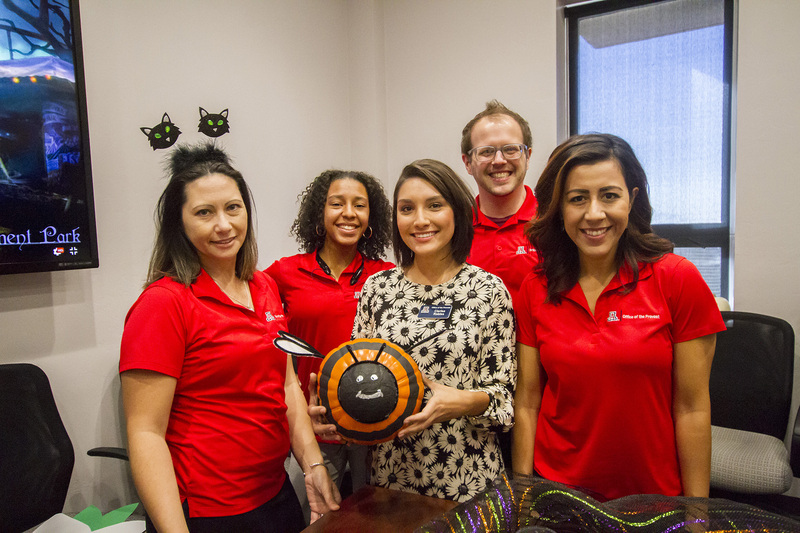 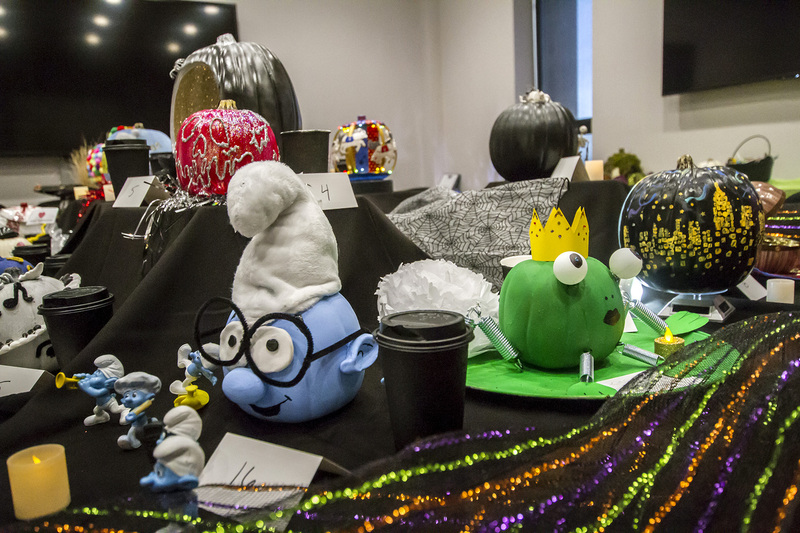 The Office of the Provost held a pumpkin-crafting contest to raise money for United Way of Tucson and Southern Arizona. 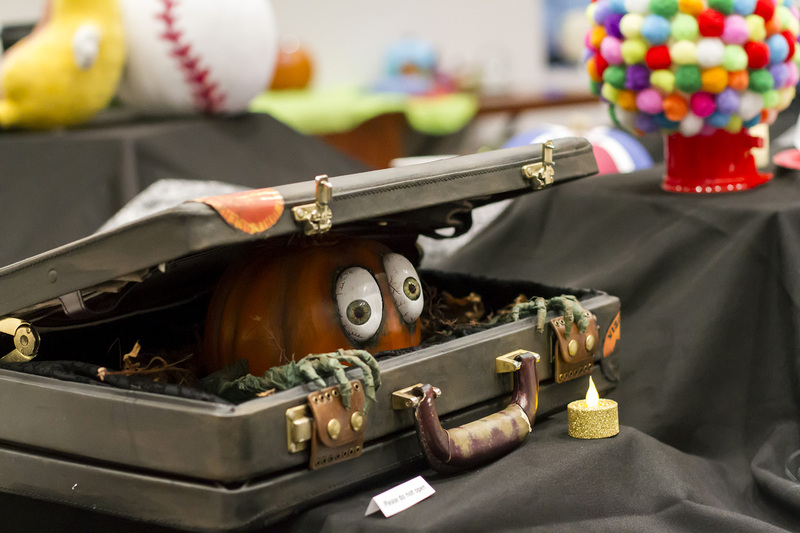 Entrants to the contest, now in its second year, donated $5 to enter (or $10 if they didn't bring their own pumpkin). 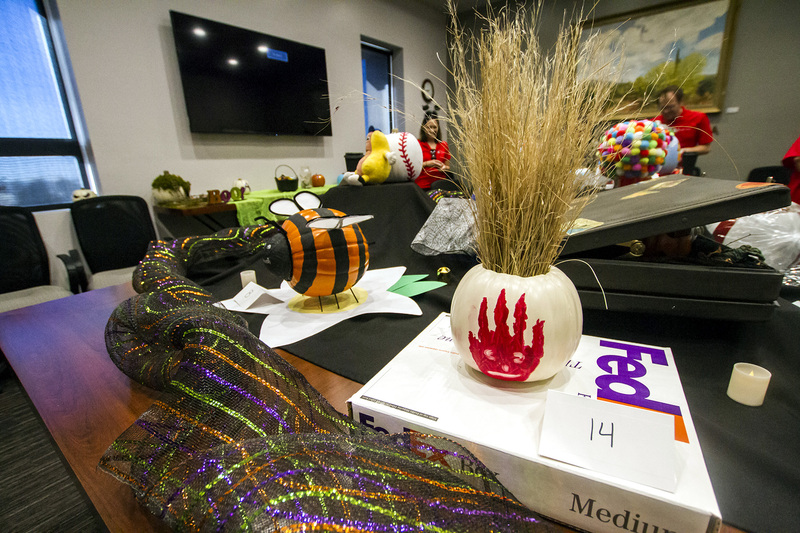 The pumpkins were then presented in Administration on Oct. 26 for viewing and judging. 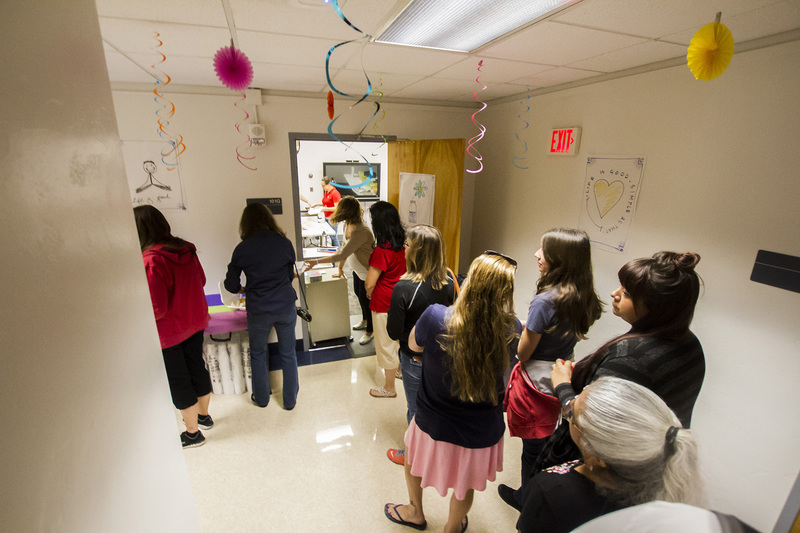 Attendees received one free voting ticket at the door, and could get four more for $1. 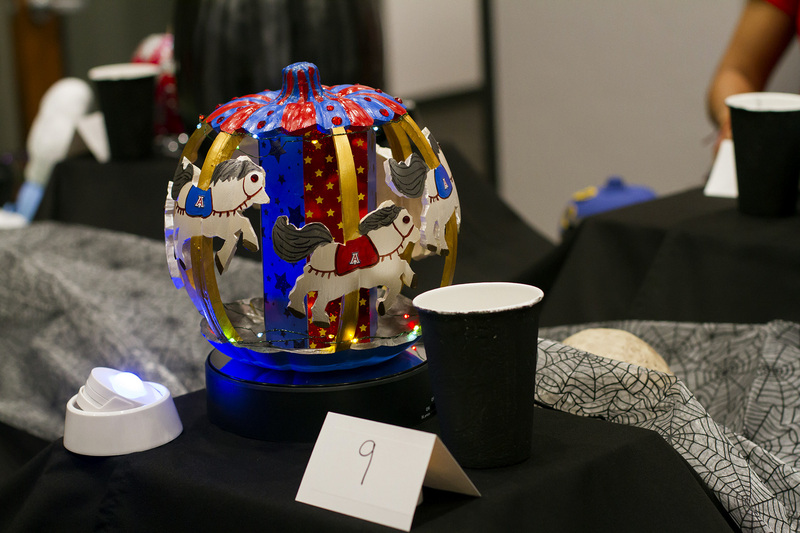 The event raised $405. 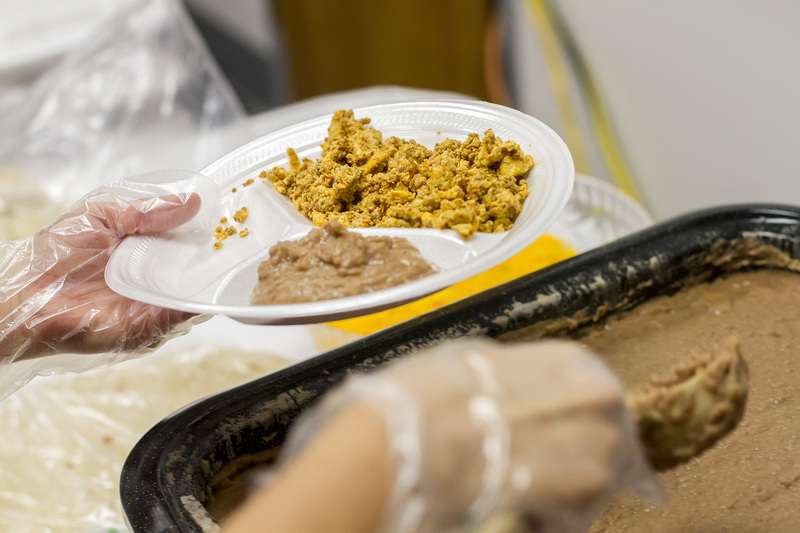 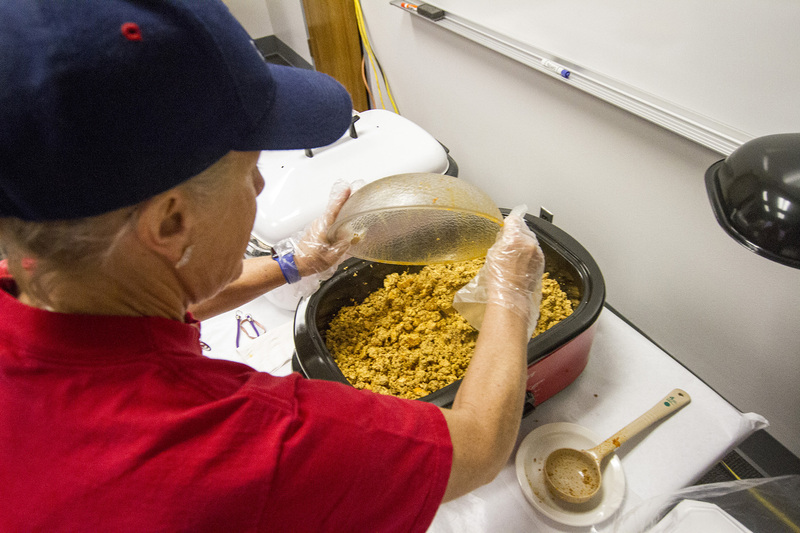 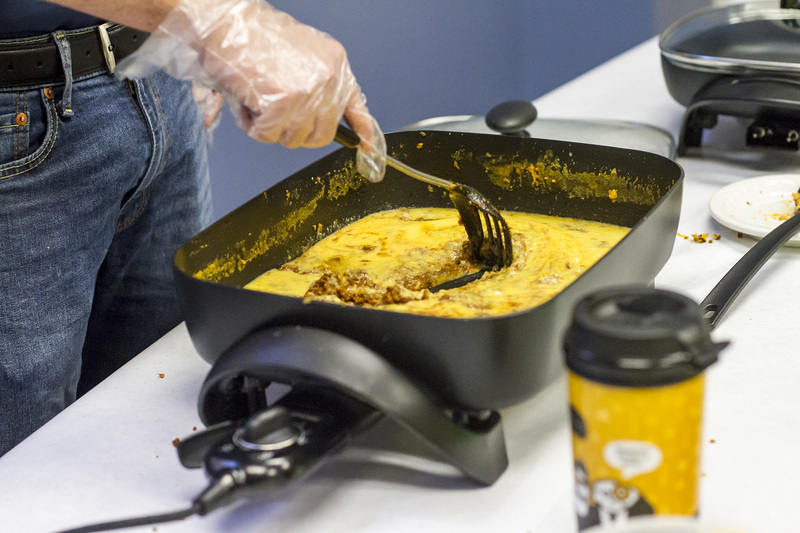 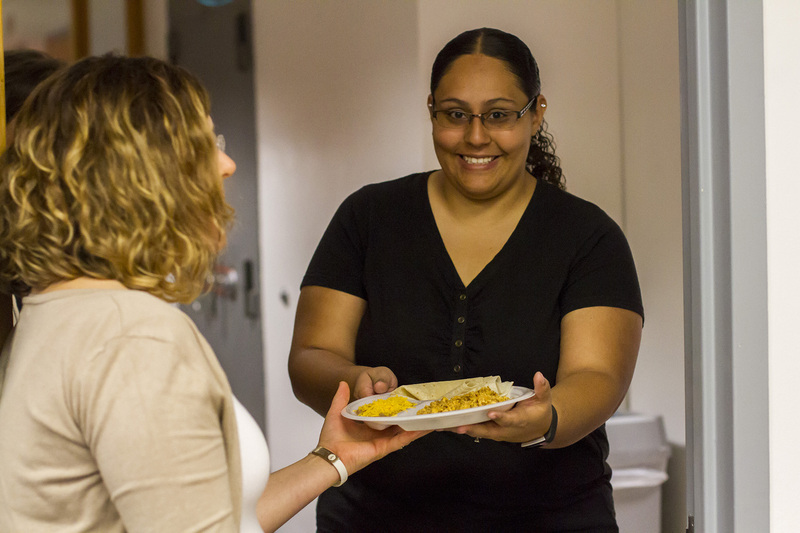 For the 18th year in a row, the UA Budget Office served up a chorizo breakfast. 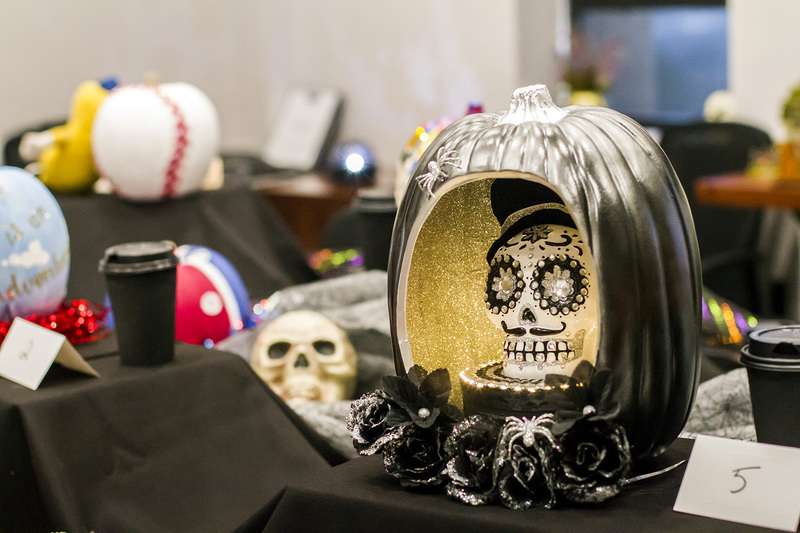 This year's fundraiser, held Oct. 27, supported the National Alliance on Mental Illness – Southern Arizona. 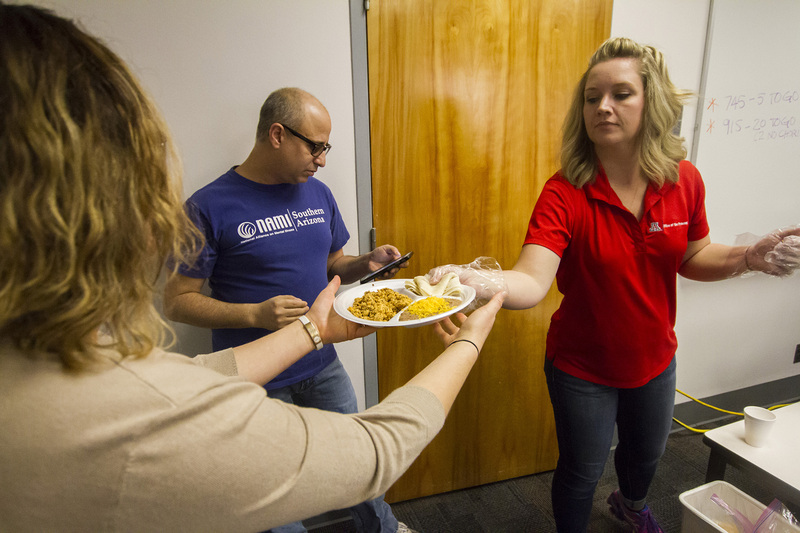 The office offered plates of chorizo, eggs, beans and tortillas for $5 each, and raffle tickets. 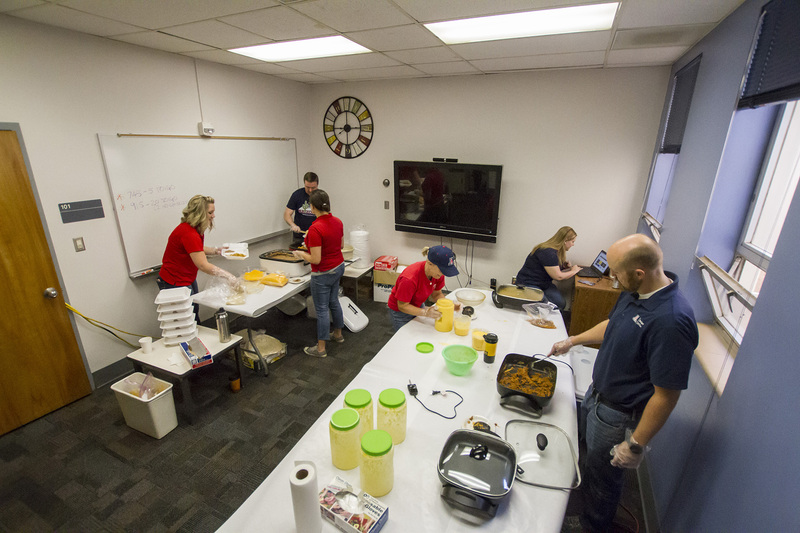 The effort raised $2,350. 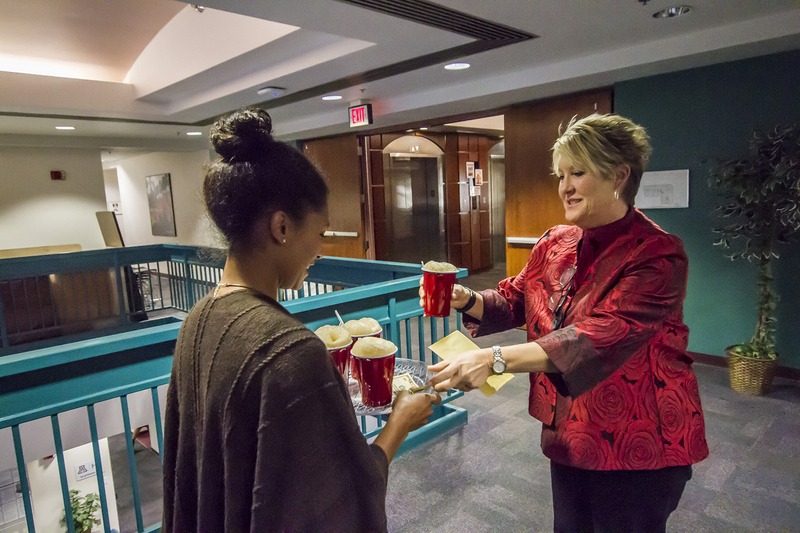 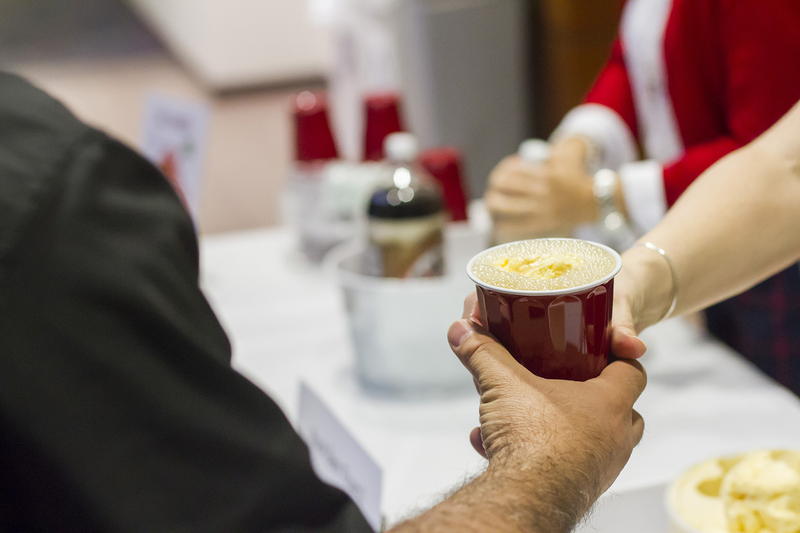 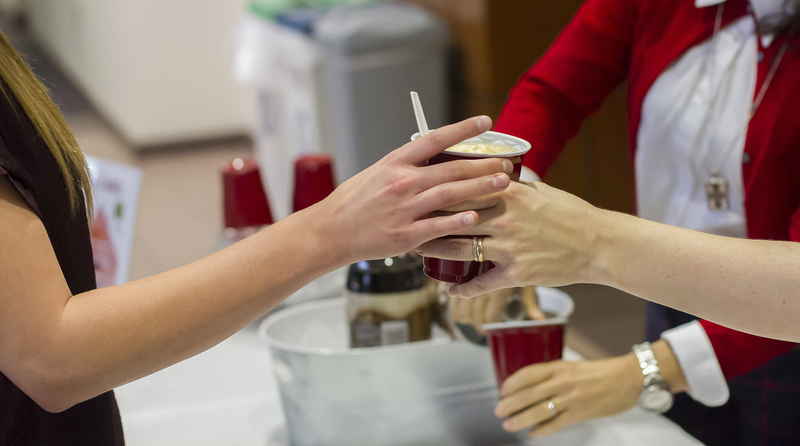 Employees with the Division of Human Resources set up a root beer float station in the lobby of the University Services Building in early November. 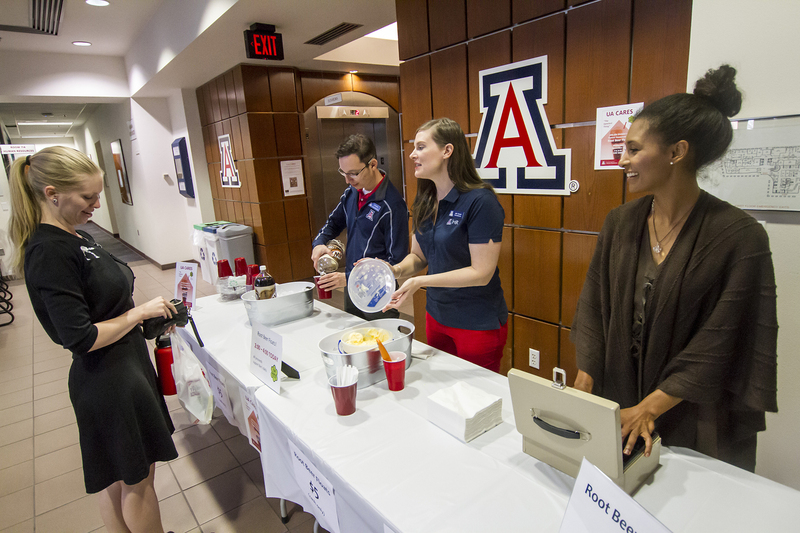 The event raised $275 for Ben's Bells, a local nonprofit that promotes kindness. 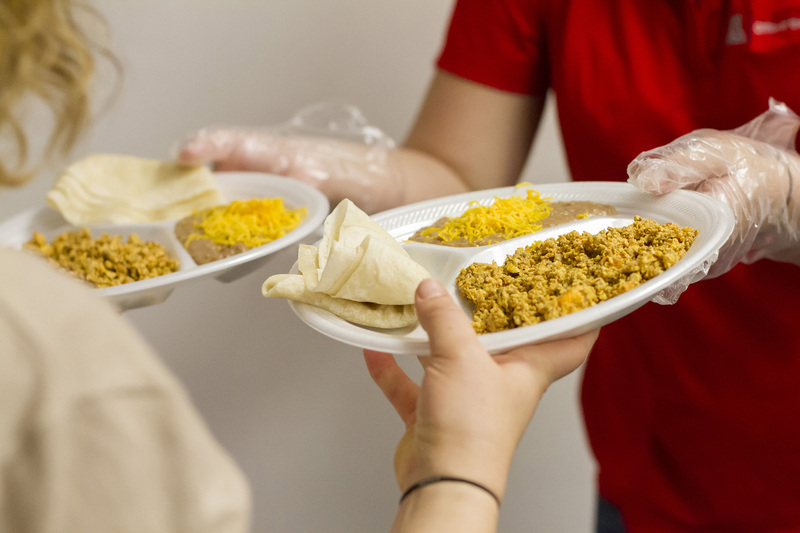 The campaign runs through Dec. 15. 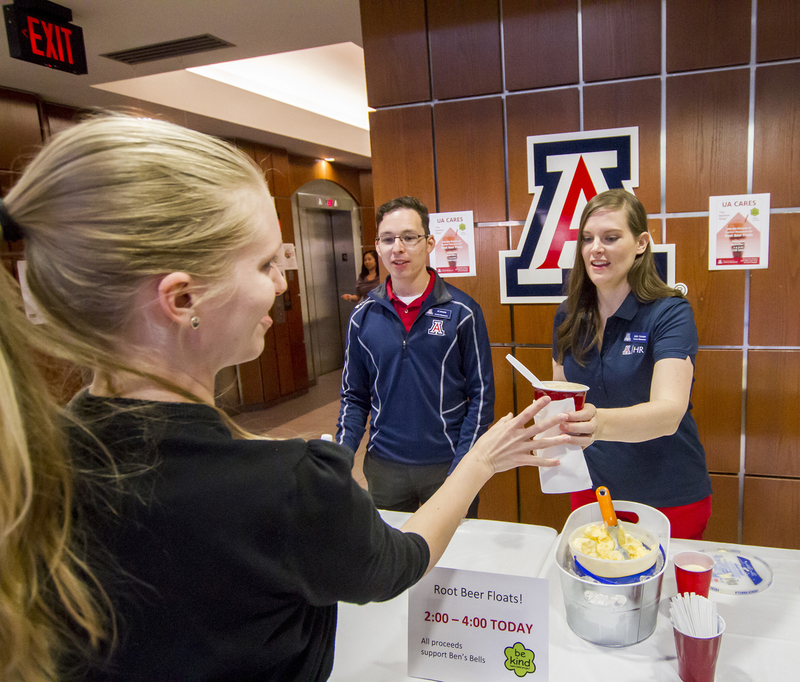 For more information about UA Cares, visit the UA Cares website.